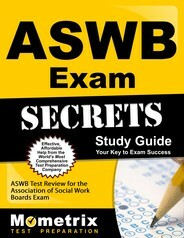 The Association of Social Work Boards Masters Exam, formerly known as the ASWB Intermediate exam, is a licensure examination designed by the Association of Social Work Boards (ASWB) and administered by the American College Testing Program (ACT) that is used to determine whether or not an individual has an intermediate understanding of the social work field. This ASWB Masters Exam is one of four tests that are commonly used by local licensing authorities to determine which individuals should become licensed social workers. However, which of the four tests are required to obtain a social work license is dependent upon the particular type of social work you are interested in pursuing and the jurisdiction in which you intend to practice. 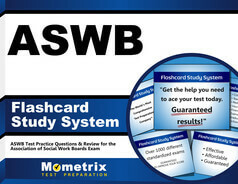 The ASWB Masters Exam consists of 170 multiple-choice questions, 150 of which are scored and 20 that are not scored, that are broken down into 10 sections. The ASWB Masters Exam is scored based on the percentage of questions answered correctly. The exam-taker will receive a final scaled percentage score that will be considered as passing or failing depending upon the standards set by the jurisdiction in which the individual applied for licensure. The exam-taker will have four hours to complete the ASWB Masters Test. To register for the exam, you must have at least a master’s degree from an accredited social work program, no post degree experience, and register for the exam with your local licensing authority. Once you have registered for the ASWB Masters Exam, you will receive a letter with information on how to schedule a testing date at an ACT testing center. The registration fee for the ASWB Masters Exam is $175, however, there may be additional fees and requirements for licensure depending on local regulations. What is the Masters Social Work certification? The Masters Social Work certification exam is used to determine a person’s understanding of the social work field. How much does it cost to take the Masters Social Work? The exam fee for the Masters Social Work exam is $320. How do you become Masters Social Work certified? To become Masters Social Work certified, you must pass a social work examination. Is the Masters Social Work exam all multiple choice? Yes, the Masters Social Work exam contains 170 multiple-choice questions. How long do you have to take the Masters Social Work exam? Test-takers have four hours to complete the exam. How do you sign up for the Masters Social Work test? To sign up for the Masters Social Work test, you must first check your eligibility to take the test. Once approved, you must register with the ASWB at their website. What is the pass rate for the Masters Social Work exam? The pass rate for the Masters Social Work exam is 81.2%. What is a passing score for the Masters Social Work exam? The minimum passing score for the Masters Social Work exam varies, as different test-takers receive different sets of questions that are evaluated by the ASWB. How many questions are on the Masters Social Work test? There are 170 questions on the Masters Social Work test, 20 of which are unscored pretest questions.